This episode covers one of the greatest challenges in Dutch data science: how to distribute €43 billion (no, that’s not a typo) among all Dutch health care insurers in a fair, equal and transparent way. To learn more, I visited the biggest health insurer of the country, Zilveren Kruis, and spoke with research consultant René Hoekstra. Zilveren Kruis (“silver cross” in English, also known as ZK) is the health care division of Achmea, the biggest insurer in the Netherlands. The division manages several different “labels” in the market, each with its own signature. To make things complicated, Zilveren Kruis is one of the labels of the Zilveren Kruis division, next to Interpolis, OZF, Avéro, FBTO and De Friesland. These different labels used to be independent insurers but have been acquired over the years and still operate under their own names. Some acquisitions, like Agis and Groene Land, have been integrated into the ZK label. ZK (all labels) has 5.2 million people insured, which gives the company a market share of about 30 percent. René Hoekstra’s Research Consultancy (RC) team belongs to the Knowledge Centre, which also comprises data warehouse and management and the BI analysis and reporting team. RC has 11 people in total who have highly exchangeable skills, which makes it very easy to jump in and help colleagues working on different projects. The Knowledge Centre’s primary role is to support a data-driven way of working within the organisation, whereas the Research Centre spearheads developments to answer policy issues based on data. “Playing with data for playing with data’s sake can never be an end goal,” according to René. “Everything we do is measured by its impact on the business.” Since René’s team is not part of the daily operation, it has to constantly prove its value to the business. Every RC project has a clearly defined beginning and end and usually takes two to three months to complete. Many projects are one-offs to support policymaking, for example, a benchmark analysis of market segments (e.g., hospitals, pharmaceutical care or GPs) to improve the health procurement process. A typical endpoint for an RC project is a PowerPoint presentation with recommendations and policies that can be implemented, not a model running in production. If outcomes need to be monitored regularly, the required dashboard is built by the BI team. Dutch citizens pay health care taxes and pay a premium for their health care insurance company. The health care taxes and a large part of the insurance premium are transferred to and managed by the health care institute. Insurers provide historical data to the health care institute. Based on this data a risk equalisation model is created to fairly distribute the money among all insurers. Insurers with less healthy members receive more money than insurers with healthy members. Health care providers negotiate with insurers about reimbursement per treatment. Based on actual treatments, the associated cost is reimbursed by the insurer to the hospital. The key element here is the distribution model being used. This model isn’t perfect (but it’s still very good) and is the subject of constant improvements to make it even better than it is. All insurers help with these improvements, which should provide a level playing field for all. The model is fairly complex and consists of 150 technical attributes. Although the information about the model is publicly available (or can be derived from public publications), some of the reference tables used are not, so it’s not possible to easily reproduce the model. Dutch health insurers have a nonprofit business model but are still capable of making profits that can be used for further improvement of the system and organisation. They generate these profits by negotiating with health care providers about the reimbursement per treatment (lower procurement costs), keeping the cost of running the organisation as low as possible, and by choosing and managing investments in stocks and bonds. All this means that insurers can use their data to get valuable insights about the health care usage of their members and procurement performance to better manage health care costs. If done right, this can lead to increased profits. Making these analyses is an ongoing effort by the KC. It is in the fortunate position that the population is large enough to make reliable simulations that show the effect of adjustments in the model. This enables the KC to use the results to improve procurement or give advice to improve the risk equalisation model. Although a simple ordinary least squares method is used for the actual risk equalisation model, the KC can use more advanced techniques, like neural nets and tree-based algorithms, for its own research. Since there’s always a trade-off between explainability and model performance, the goal is to use more attributes instead of more complex algorithms for improving the model. Another cool project René mentioned is a benchmark for a specific health care segment. For 100 categories where the KC investigated price and volume effects of certain treatments, it tried to predict the number of claims, the claimed amount and the prices. If, for example, a higher cost is projected, this could mean that the care is not optimal for the patients. This should be taken into consideration in next year’s negotiations. Thus, the outcome of these research projects has a direct impact on how the health care system works. And speaking of impact, anomaly detection showed that a specific type of cancer occurred with an unusually high frequency within a certain population. This led to the opening of a new outpatient clinic for this group, preventing more people from suffering from this terrible disease. The typical challenge of hiring and retaining talent is not a big issue at ZK’s Knowledge Centre; the work is challenging and very interesting. What is a challenge, though, is the available time. There’s always more work than can be handled by the team, so proper prioritisation is key. However, it is not a goal to hire more people. The current team size seems optimal to do enough projects and still be able to “pick” the projects that have the greatest impact. A larger team also makes it harder for all team members to be 100 percent informed. Another challenge is the fact that not all modelling techniques can be applied due to their “black box” nature; model interpretability is an important requirement. And technically there are challenges with the ever-increasing volume of data and bigger workload due to more people building more complex analytical solutions. To address these technical challenges, ZK is migrating to a high-performance SAS grid environment. René starts with mentioning the big overlap between big data, data mining, machine learning and AI. In his view, it’s not about technology (or terminology) but how to apply these new techniques to solve business problems. Black box models have added value, but ZK needs to be careful in applying them. They are not suited for every problem. He’s also not worried about AI replacing Knowledge Centre employees because of the required improvisation, innovation and communication skills. On the other hand, he is quite optimistic about AI and machine learning to do a better job in fraud detection and risk classification, resulting in a changing workload for employees. The work itself won’t go away, but the nature of the work will change; people are required to adopt a more data-driven way of working, which will offer many opportunities! Frankly, I was blown away by what René told me during this interview and a previous conversation we had. This blog post is only a summary with highlights of how Zilveren Kruis operates and how René’s team contributes to improving not only the organisation’s bottom line, but also people’s lives in general. 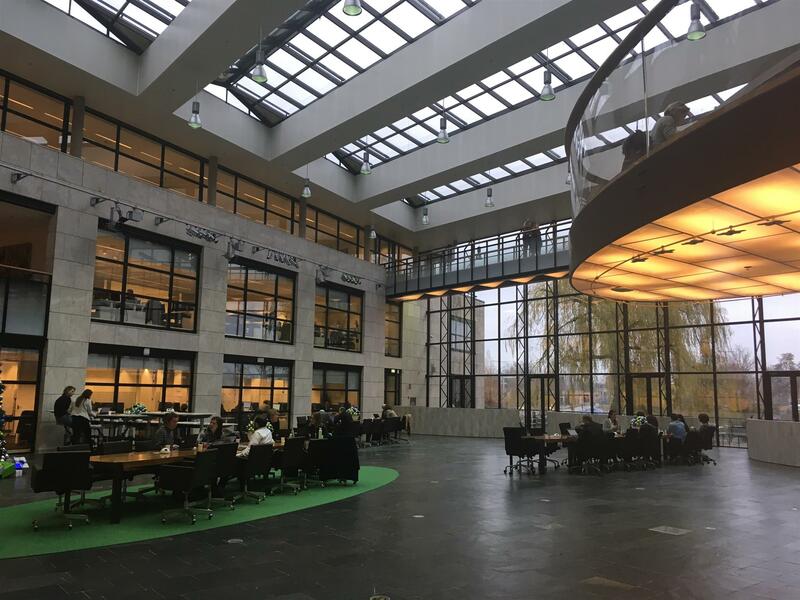 Like at the Dutch Tax authority in my previous post, data science at Zilveren Kruis is an area where solving business problems using cutting-edge technology meets social responsibility and impact. An enviable position, if you ask me!